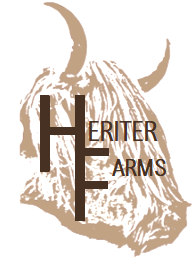 With Heriter Farms, you have options when it comes to getting your order. If you choose to pick it up at the farm itself, you can come when it is convenient for you, and take a walk around to see what new and exciting things are happening on the farm! If you choose delivery to one of our pick-up locations, you will meet us at a predetermined location once per month to pick up your items. These locations are central for a geographic region or township, meaning everyone has a relatively equal distance to drive to get their order, making it fair for everyone. We try to select as central a location as possible, with the best access and parking, to save you time and hassle. See "What is a Pickup Location" under Common Questions for more details. If you choose to get home delivery, then there will be a cost associated with this special service, and it is based on total order weight. Some large orders will qualify for free delivery, certain conditions apply. Get some family and friends together and order at the same time to save on the cost of delivery! Delivery to our pick-up locations is set to specific days of the month to ensure accuracy and convenience. We typically deliver to each pickup location one Saturday per month. We want to make buying from us as simple as possible, and understand that everyone has busy lives, so we will try to accommodate your work and family commitments by discussing a variety of home delivery options. We can be flexible in delivery hours and days to make buying from us a pleasant experience.